Sony has announced a recall of 535,000 Vaio laptop computers following reports of issues with overheating that has caused system damage, and could potentially cause injury. If you own a Vaio, verify whether your laptop is part of the recall, and take the steps necessary to get the problem resolved. In a statement on the Sony support site for Vaio laptops, Sony posted a notice from Mike Lucas, senior vice president of Vaio for Sony, stating " Recently, we became aware of a potential issue affecting certain units within the VPCF11 and VPCCW2 series of notebook PCs." Lucas also explains "In rare instances, these notebook computers may overheat due to a potential malfunction of the internal temperature management system, resulting in deformation of the product's keyboard or external casing, and a potential burn hazard to consumers. In May of this year HP announced a recall of laptop batteries due to concerns over the potential for fire or injury from overheating. That recall affected only about one tenth of the total systems as this Vaio recall, but the HP recall involved physically replacing the defective battery, and the Sony recall can be fixed with a simple software update. The heat management system in the BIOS of affected Vaio laptops is not functioning properly and can cause the system to run hot. 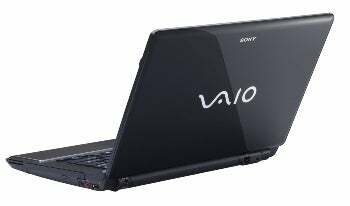 The BIOS for the Vaio laptops was developed by a third party, and customized for Sony by a separate third party, but Sony tested it on the Vaio platform prior to making it available. Sony has received nearly 40 reported cases of Vaio laptops overheating to the point that the casing becomes deformed. While there are no reports of fires or burns caused by the overheating issue, Sony warns that it is a possibility. To resolve the problem, Sony has developed a firmware update for the BIOS. Sony is directing users with affected Vaio laptops to apply the update to prevent overheating issues. The Sony statement also suggests "If you have any questions or need additional assistance with the firmware update installation, call Sony technical support at (866) 496-7669 for assistance." A BIOS update is not a complex task per se, but it can be daunting for less technical users. Even though the Vaio laptop is portable, make sure it is plugged in. Relying on battery power during a BIOS update could mean running out of juice mid-update. If the BIOS update process is interrupted, it could result in turning the laptop into a glorified paper weight. Make sure you have backed up all data on the Vaio laptop before beginning the BIOS update--just in case. In the event that something goes wrong during the BIOS update, or the BIOS update itself is somehow corrupt, you will appreciate at least having your critical data to restore to a different system pending a fix for the Vaio.